Plot Synopsis: Fired from the National Security Agency, Frans Balder (STEPHEN MERCHANT) recruits hacker Lisbeth Salander (CLAIRE FOY) to steal FireWall, a computer program that can access codes for nuclear weapons worldwide. The download soon draws attention from an NSA agent who traces the activity to Stockholm. Further problems arise when Russian thugs take Lisbeth’s laptop and kidnap a math whiz who can make FireWall work. Now, Lisbeth and an unlikely ally must race against time to save the boy and recover the codes to avert disaster. 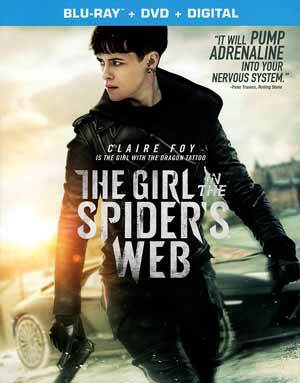 Review: I must admit up front, considering The Girl with the Dragon Tattoo didn’t do gangbuster business at the box office, the gap in time and that David Fincher, Daniel Craig and Rooney Mara would not be returning for a follow-up, I never thought The Girl in the Spider’s Web would actually be made, but good Sony soldiered forward with this semi-sequel, semi-reboot. So even though technically this isn’t a sequel, and is an adaption of the fourth novel, I did feel I needed to do some due diligence and watch The Girl with the Dragon Tattoo (never seen it before) if only to compare the performances… Well, let’s just say the studio slashed the budget in half from the first ($90M vs. $43M) and the tanking in quality was noticeable… although in fairness, Claire Foy in titular role actually was not a half bad replacement, though I probably still prefer Mara in the role. In terms of the supporting roles, while nobody would mistaken Daniel Craig for being an all that expressive of a performer, the actor who replaced him (Gudnason) was, at best, milquetoast in how dull and boring he was in the role of Blomkvist. I know part of the reason for Craig not returning likely was his price tag, but surely they could’ve found anybody else with an ounce of charisma nor any chemistry with Foy’s Lisbeth. Fede Alvarez takes on the directing duties having succeeded with The Evil Dead and Don’t Breath, he seemed like the obvious choice given Fincher and company were done. And, his style was perfectly fine and I do appreciate that, at least to my eye anyway, relied more on practical effects like the explosions or car crashes. Sure, might’ve saved them a few bucks to go the visual effects route, but it would’ve looked like crap, so I do value that aspect of this film. Now, while I didn’t personally mind The Girl in the Spider’s Web, even if it pales in comparison to Fincher’s adaptation of Dragon Tattoo in just about every respect save maybe for Foy who was more than a suitable Lisbeth, and had some entertainment value, its box office failure ($34.9M worldwide off of a $43M budget) ensures the series is done and one wonders why the studio didn’t just adapt the subsequent four books after Dragon Tattoo, into a limited television series. This release comes with a glossy slip cover and inside the redemption code for the Digital HD copy. Audio Commentary – Director Fede Alvarez and Screenwriter Jay Basu provide for an energetic and informative track going through the process of developing the story and into some of the more technical details. Deleted Scenes (15:36; HD) – There were eight scenes that were removed and includes an optional commentary explaining why they were ultimately axed. 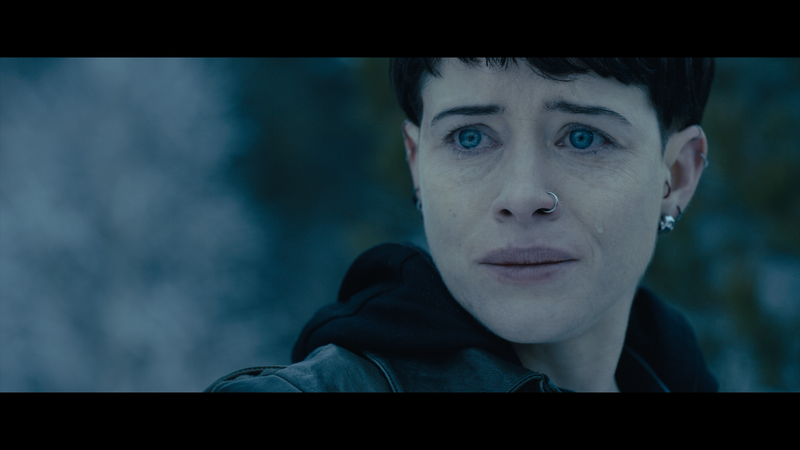 Claire Foy: Becoming Lisbeth (9:50; HD) looks at what drew filmmakers to cast Foy and ultimately what drew her to the role. All About the Stunts (6:40; HD) goes into the filming of the stunts in the film with behind-the-scenes footage and EPK interview footage. Creating the World: The Making-of (15:59; HD) is an all-encompassing behind-the-scenes featurette with your usual sound bites plus on the idea of “resetting” the series. Secrets of the Salander Sisters (4:56; HD) explores the dynamic between the pair. 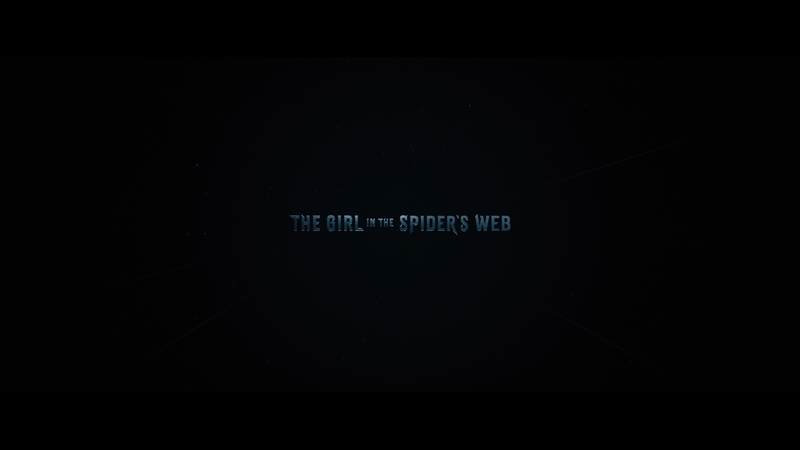 The Girl in the Spider’s Web gets caught on Blu-ray where it is presented with a 2.39 widescreen aspect ratio and given a 1080p high-definition transfer (MPEG-4 AVC codec). The picture here looks fine though I did detect some softness in some scenes that weren’t terribly sharp, though colors, albeit on the muted side in keeping with the dark tone and cold winter setting, did have a certain brightness to them with natural skin tones and black levels, most noticeable in one of the more memorable moments with the black latex suffocation scene. The included DTS-HD Master Audio 5.1 track is fairly impressive. The dialogue coming via the center channel has good clarity while the front and rears are for the most part relegated for some ambient noises. However, there is nice depth during the action sequences such as the loft explosion, a car crash, etc but even the lower levels were also remarkable. The Girl in the Spider’s Web is certainly a step down when comparing it to the Fincher adaptation of Dragon Tattoo and although I personally found it entertaining even for all of its flaws, particularly the flat performances from some of the supporting cast, this series probably was better off as a television series on Netflix or even a cable channel like HBO. As such, this is fine as a rental but not much else.